I don’t know how you downtown employees do it. 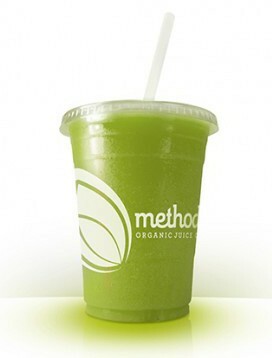 If I was that close to Method Juice Cafe every day I’d be broke. Healthier, sure, but also broke-er. For me, dropping $7 on a juice or smoothie is a big deal, so when I do I have to make sure it’s the perfect choice. Lately, that has been the “Natural” smoothie: cucumber, pear, spinach, pineapple, romaine, coconut water and agave. It’s a mix that’s refreshing, light and could get even the most skeptical among you on board with drinking something bright green. Other favorites include the “Vital” juice and “Legit” smoothie. Method is at 718 W. Riverside. Spring is here, and with it comes the light, crisp and fruit-tinted beers I always gravitate to. During the flux of seasons I always enjoy exploring the new beers arriving weekly at the grocery store, and lately I’ve discovered two new standouts. This beer isn’t for everyone, and it seems I know a lot of people who just aren’t into the Belgian-style beer thing. Too bad for them. Recently at WinCo I snagged the last 24 oz. bottle of Pyramid’s newest spring beer, the Strawberry Blonde Saison. (Pro tip: Saison is pronounced say-SAHN). It’s a crisp, tart beer that I can see myself enjoying through the summer. What stood out to me most is that the strawberry notes didn’t overpower this beer’s complex malts. If you like Pyramid’s Apricot ale, this beer is a great complement. It’s partly the name of this beer that made me want to try it. Not only do I really like blonde ales for their flavor profiles, but I’m a natural blonde, and as dorky as this sounds, I like beers with “blonde” in the name. So silly, I know. Anyway, New Belgium’s Spring Blonde caught my attention for many reasons, including the label with a bunch of bikes leaning against a street post. The golden ale is light, easy and has a slightly dry, bitter finish with notes of lemon and bread creating that perfect balance of sweet and malty. Makes me want to get on the nonexistent yellow cruiser I don’t have to go have a picnic in the park. After binge-watching all of True Detective last week, I had the sudden urge to drink tall cans of Lone Star beer. 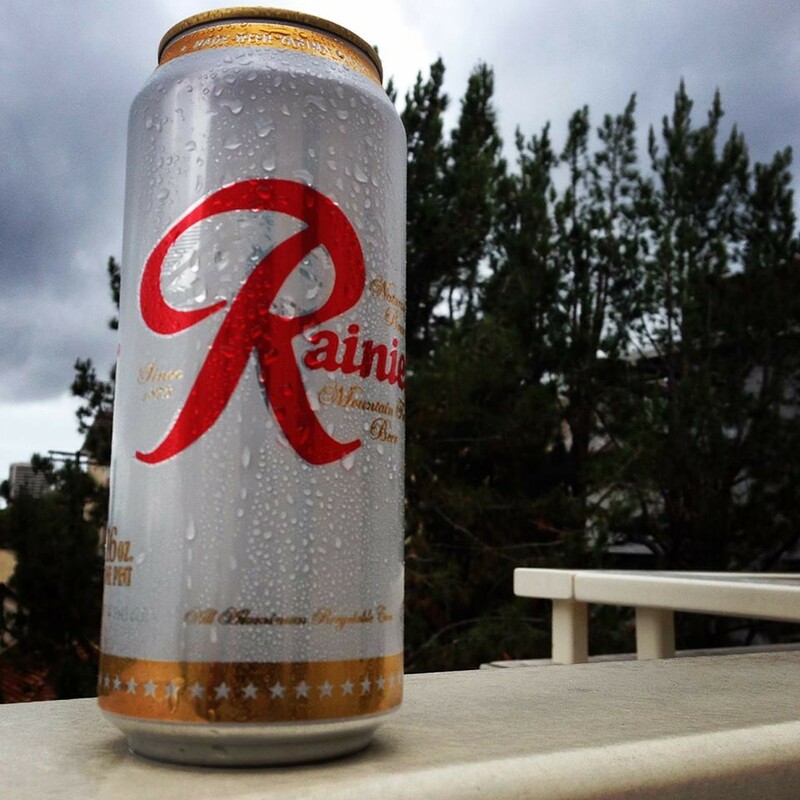 Given that we can’t get that Texas-made lager out this way, I had to go with the Northwest equivalent — Rainier. Yeah, it’s no longer made in Washington, like it was back when the brewery aired awesome television commercials like this one, but it’s still cheap, reliable and a nice break from the sort of IPAs I typically imbibe. I recommend drinking it only out of 16-ounce cans. Sure, coffee is great. And the Doma Coffee Roasting Company makes a pretty good brew. But even Doma coffee isn't as great as some things — like whiskey. So Doma has recently moved to close the gap by combining its bean processing with the glory of whiskey. And not just any whiskey, but that of local distillery Dry Fly. 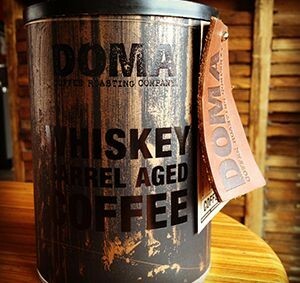 As they've explained online, DOMA has worked with Dry Fly to acquire some of their seasoned oak whiskey barrels to condition green coffee beans in for however long that takes. They say the results bring out booze-tinged vanilla and caramel flavors that whiskey lovers should swoon over. The first couple of small batches have sold out quickly at $25 for 12 oz. Doma announced a new batch should be ready soon. So, it might be a little hard to get our hands on, but we're looking forward to trying. For now, I’ll just stare at my regular mug of coffee and dream of what might be possible. As I arrived at the new Liberty Ciderworks tasting room on their opening day last Thursday, I was suddenly apprehensive. They’ve been distributing cider to a few places around town for a while now, but I hadn’t managed to catch it anywhere, and in the meantime I’d become fond of this new craft cider resurgence. 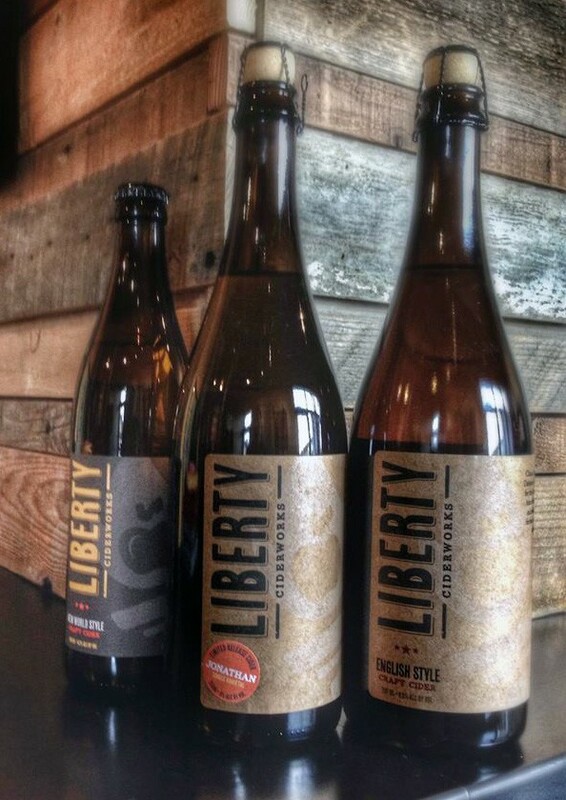 I really wanted to like Liberty Ciderworks. So what if I didn’t actually like their cider? My worries were quickly abated. This is not your overly sweet, mass-produced hard cider — I’m pretty sure it would be horribly ruined by a shot of Fireball — but it’s also not that similar to the craft beer I typically drink. Dry and light in color, the award-winning English Style reminded me of what I’ve always wanted wine to be. (Admittedly, I don’t drink much wine.) But the reason to stop by sooner rather than later is the limited-edition Jonathan cider, made exclusively with Jonathan apples. It will make you forget the wine or beer analogies and remember just how flavorful and delicious a good apple can be. 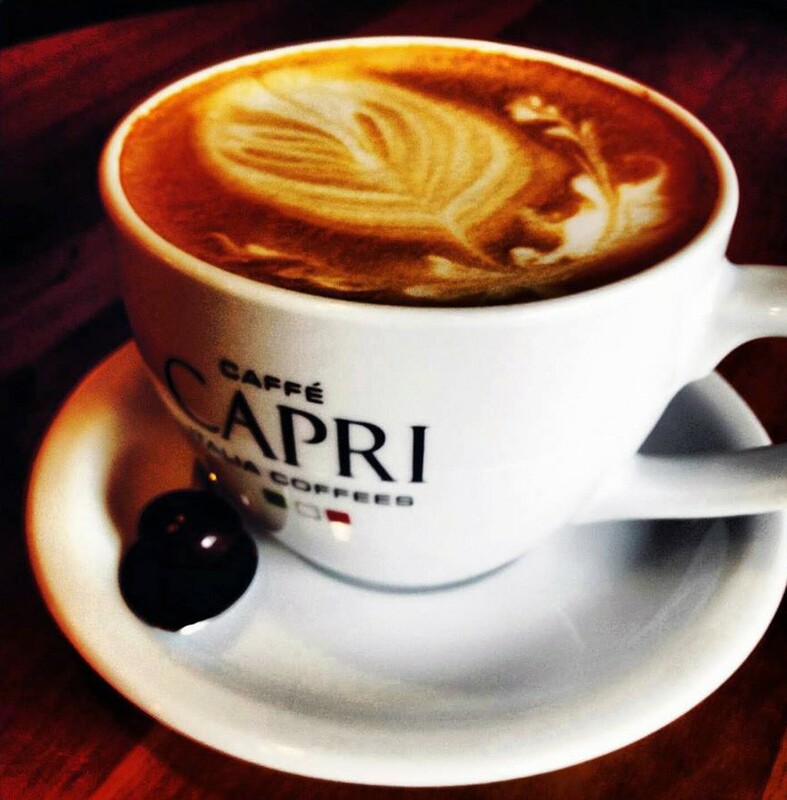 I’m at Caffé Capri right now, that coffee shop in the center of Browne’s Addition near the Elk. It’s been my Sunday writing home for years now, back when it was still Tully’s. I’ve written some of my best lines here, and some of my absolute worst. I’m not a connoisseur of coffee. I’ve ordered pretty much the same drink — a mug of mocha, and yes, I’d like it with whip cream — essentially every time I’ve walked through the door. But I am a connoisseur of atmosphere, and the drinks are just a drop of that warm and cozy feeling. There’s the soft lighting and the brick walls and the brown colors. There are the people milling about in the background, students studying for chemistry tests, gray-haired seniors discussing good-ol’-days, friends trading it’s-so-good-to-see-yous, and romantic couples gazing with sleeping Sunday smiles, and at least one journalist off to the side, trying to get a head start on his deadline. Coffee shops, I’ve always felt, are perfect places to write. Just enough sound, just calm. The Atlantic’s Connor Friedersdorph has some good speculation for why here. So I’ve been drinking mocha. But the what rarely matters as much as the where.